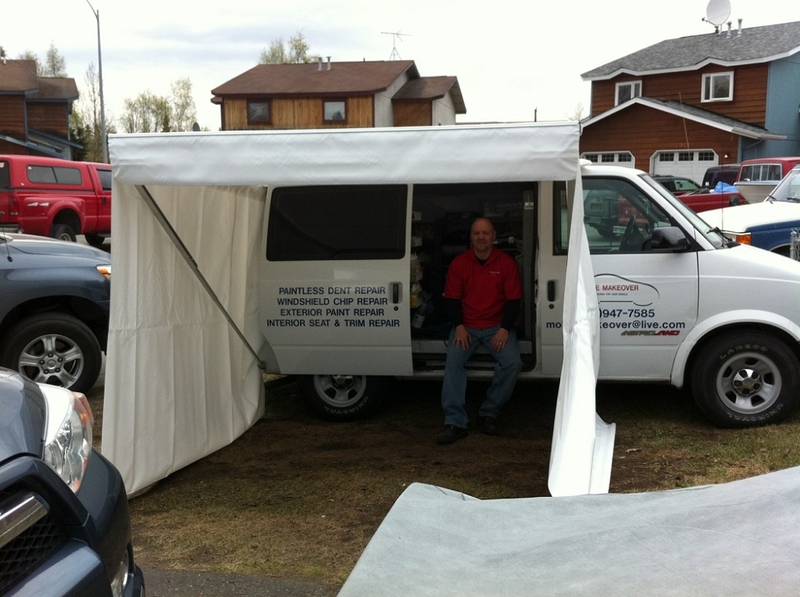 My Prices are Usually Lower, Especially If You Need Awning Rail. If You Dont Need The Rail Just Click Omit And Save Even More! The Commerical Grade version comes witha ULTRA HEAVY DUTY 18 oz Fabric. 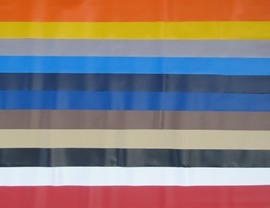 This fabric is even heavier than the fabric we use on our Roll-Up awnings. The Valance is attached by using the auxilary slot. This means you can take it to your Local Sign shop and have your Company's name and Logo applied. Currently we are producing the awning in 7', 8',10',12' and 14' widths. Please note that the 7' awning only projects 6'. Our Supreme Bag Awnings are Superior to the competitions because our design transfers the weight to the handles on the leg. This makes the setup and stowing of the awning easier. 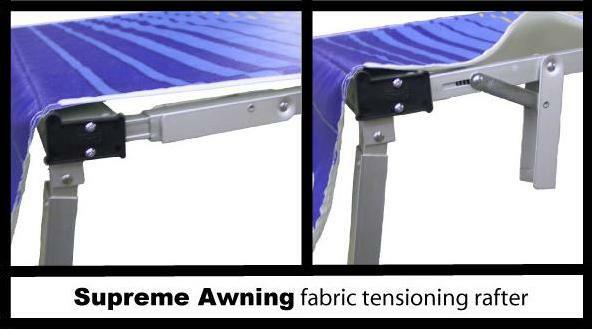 Another advantage of the Supreme Bag Awning is that the Patented Self Tensioning Arms makes Setup a "Snap". When you need shade or shelter, simply unroll the awning and extend the adjustable 6'6" or 78" Tall uprights. The travel case can be left on the vehicle. Like the Classic Bag Awning the Supreme Bag Awning extends 7' out from the vehicle. The Bag Assembly hangs down approximately 7.5". Should you have a clearance issue, I now offer a Roller Wheel. 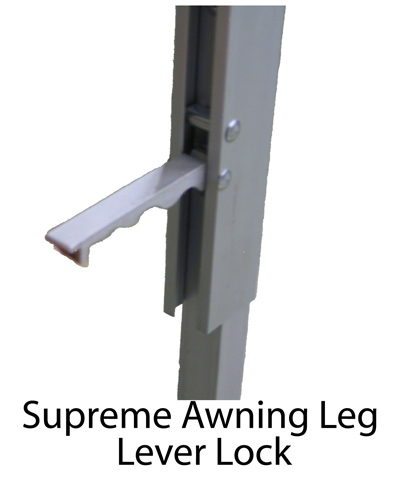 This attaches to your door to help prevent the door from damaging you bag assembly. The overall size of the storage bag is 4"-5" larger than the awning itself. I highly recomend that on awnings 11' and larger that you purchase a spring loaded center rafter. This additional support does two things. It helps eliminate the flapping of the fabric in the wind and it also helps reduce puddling of water when it rains. email me at john@rvawningsrus.com with your questions. Photo provided by Sam Lahn satisfied customer.